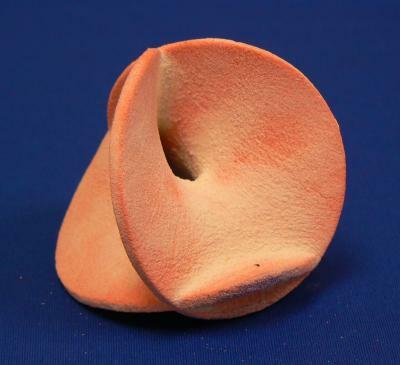 An amazing invention is going to be demonstrated by a team of Japanese scientists led by Kenichi Okada the Florence. Specialists from Keio University modified the conventional inkjet printer, and “taught” him to print images that are not only bright, but also have flavor. The work is being conducted together with specialists from Canon. An unremarkable inkjet is turned into a real olfactory display. Mr. Okada said that the printers of this type are an ideal tool for the purpose, because they release the active ingredient in small portions, which allows fine control over the printing process. The current prototype produces flavors of lemon, vanilla, lavender, apple, cinnamon, grapefruit and peppermint. The main problem that remains is complete independence of the color and the smell. The next stage of the project will be to match the pictures and the smell. New MFP Series Epson Stylus Office is a high-speed and extremely cost-effective color printer for the home office and small business. Epson presents a cost-effective solution for working with documents at home and small offices – new AIO Stylus Office BX625FWD. This innovation has not only high speed, but also perfectly implemented duplex function. Due to the wide range of individual ink cartridges this multifunction device can both cope with any amount of printing and provide significant savings – the replacement is only required for one cartridge, which is out of ink. Additional savings also provide high-capacity cartridges and the new printing system. As a result, cost of color printing on Epson Stylus Office BX625FWD is up to 2 times lower than on laser printers the same price! Traditional for Epson prints are resistance to water, light and mechanical stress that are achieved through the use of Epson DURABrite Ultra pigment ink. Documents coming out from the printer are already dry, and texts on ordinary office paper do not differ from laser prints: they will not lose its form over many years and do not smear when you select text with a marker. Software included in the package, allows easy editing of scanned documents and managing them over a network using Wi-Fi interface and Ethernet. Today no one is surprised by printers producing three-dimensional objects – there has been a variery of development approaches to the subject: glass printer, foam printer, even food printer, to name a few. However, craftsmen continue to find ingenious ways to implement known technologies. For example, Junior Veloso from Singapore, who stepped aside from the traditional method of printing in desiging his own 3D-printer. 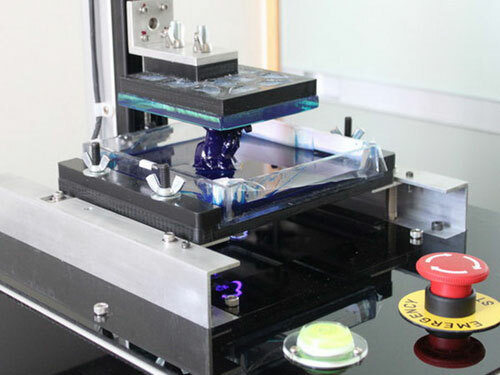 Traditional stereolithography usis a scanning UV-laser, which hardens liquid polymer layer by layer. 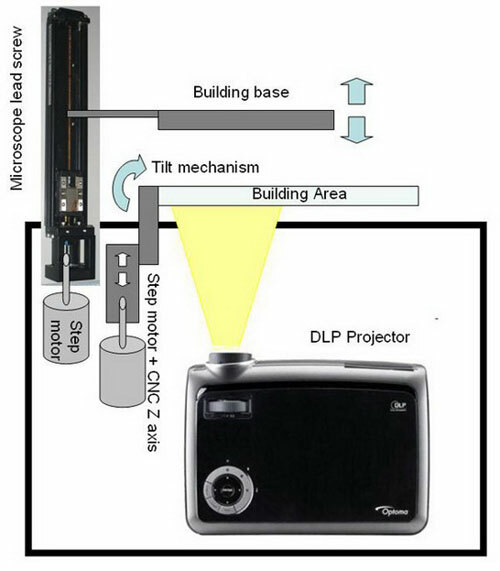 The DLP-printer of the Singaporean operates in a similar manner, but it employs micromirrors-based video projector to expose the polymer layer by layer. Such a design exhibits a single layer within 4-8 s, and it takes a few hours to build the entire object of multiple layers. In addition, the polymer should be opaque, or the effect of “shadowing” light passing through it would create a distorted shape. Epson is releasing to market two new wide-format printers that are the ideal ratio of accurate color reproduction and high performance. 24-inch Epson Stylus Pro 7890 and 44-inch Epson Stylus Pro 9890 perform the most difficult tasks of professional photographers and artists, allowing you to prints closest to the original, with minimal downtime. The new models use Epson UltraChrome K3 Vivid Magenta eight-color inks. Both printers are equipped with TFP the printhead, which greatly improves the quality of ink dots, and allows you to print vivid, sharp images. The Epson Stylus Pro 7890 and 9890 reproduce the widest color range and allow for the maximum smooth tonal gradients. With three neutral shades of ink — including a standard photo black or matte black, light black and light light black — users can get a black-and-white images of the striking contrast with a rich range of tones, improved gray balance and without unwanted color backlight. A unique combination of black and gray inks also ensures that the prints do not acquire the bronze shade, their surface is uniform, and the difference in print density between light and dark areas is imperceptible. In addition, the Epson UltraChrome Vivid Magenta inks minimize the effect of metamerism: this means that printed pictures will look the same in any light. Additional SpectroProofer spectrophotometer provides accurate colors on various materials and automatically measures the color table to create ICC profiles. A team of engineers and the art from the University of Washington has developed a way to create objects made of glass using a conventional 3D-printer. Technique allows the application of new materials with similar devices. The technology is called “vitraglyphic process”. Three-dimensional printers are used as a cheap and easy way for prototyping. In conventional 3D-printing system, which works with the powder, a thin layer of material distributed on the platform and the software controls the inkjet printer that causes binder in the appropriate places. It interacts with the powder and binds the particles together, resulting in a three-dimensional object. However, the glass powder is bad absorb liquid, therefore used in the case of ceramic technique should be reconsidered. “The familiar process of printing led to the output of gelatinous parts when we turned to glass powder — says Grant Marchelli. — It was necessary to modify how both the powder and binder mixture are treated. By adjusting the ratio between the two components, scientists have made a solid form with a powder from Spectrum Glass. Structure held together and melted at the required temperature. Glass can be transparent or opaque, but stands out for its inorganic form (no carbon contained), solidifying from the molten state without the formation of molecules ordered crystalline structures. Therefore, technically the glass is rather a chilled liquid than a solid material. Printed three-dimensional glass has a striking similarity with the technique of creating glass products pate de verre (“glass paste”). There, the glass powder is mixed with binding material such as egg whites or enamel, and is placed in a form for firing. The technique originated from the times of ancient Egypt, and, thanks to new technology, is getting a new life. 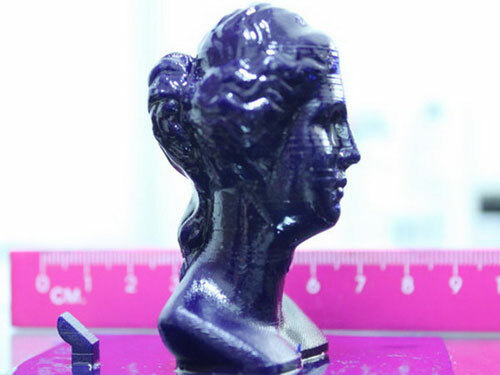 As is the case with ceramics, researchers see great opportunities for three-dimensional printing of glass. “Publication of descriptions without commercial conditions, we hope, will inspire further experimentation and innovation community of arts and engineers” – describes the well intentions professor of mechanical engineering at Washington University Duane Storti. Associate Professor of Architecture at UCLA (University of California), Berkeley, Ronald Rael collaborated with colleagues to develop his own printer. 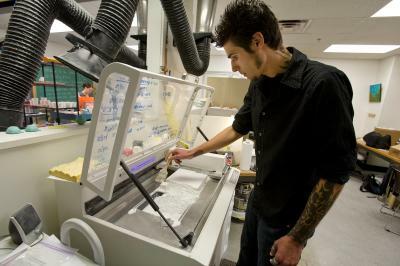 He is engaged in a new kind of ceramic blocks, which can be used to remove moisture from the cooling systems. “3D-printing of glass has great potential in the use of glass in architecture – explains the researcher. – Until now, there was no acceptable method of rapid sample preparation of this material, which led to expensive and time-consuming process for testing models.” According to him, three-dimensional printing allows for testing different types of glass, including a recycled glass wastes. Epson Stylus SX525WD multifunction with Wi-Fi and automatic two-sided printing is ideal for working with documents and photos at home. Epson presents a stylish multi-functional device for the home equipped with a Wi-Fi module. 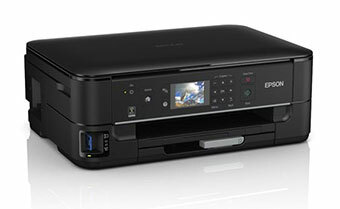 Epson Stylus SX525WD multifunction is designed for demanding users who want not only quality, but also fast printing and ease of connectivity and work. High speed and the combination of printing, scanning and copying as well as the automatic two-sided printing will save you much time. A user-friendly design, front-loading paper tray, and Wi-Fi connectivity will provide easy installation and comfortable operation. The LCD screen and a card reader lets you view and print photos directly from memory cards. Moreover, the connection to the computer is not required for copying documents. Thanks to supplied Epson Easy Photo Print software, any user can easily adjust the contrast and the color of prints, and quickly and easily make red-eye correction – without opening a complicated image-editing program. A specialized program, ABBYY FineReader™, guarantees fast and quality recognition and editing of scanned documents. 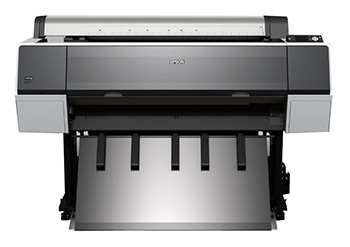 One of the main advantages of Epson Stylus SX525WD is the ability to print pictures both vivid photos on glossy and matte paper, and documents on plain paper that are no worth in quality than laser prints. The prints are resistant to water, light and highlighter, all because of the Epson DURABrite Ultra pigment ink . Thanks to individual ink cartridges Epson Stylus SX525WD can not only cope with any volume of printing, but also provide significant savings to household budget since only empty cartridges needs to be replaced. High-capacity cartridges and the cartridges offer cost-effective package to help save on printing. The printer also supports the new Epson cartridges system, and the accordance to the ENERGY STAR ® makes it energy efficient. In Cologne at Photokina 2010, Hewlett Packard introduced a series of high-performance professional large-format photo printers, Designjet Z6200. New products offer the highest performance among the large-format photo printers in its price category. HP Designjet Z6200 series plotters are designed for minilabs, digital mini-printing houses, advertising agencies, design companies and commercial printers. The device provides a print resolution of 2400 dpi and is suitable for the production of very different print products – from drawings and photographs to the signs and advertisements. This series’ printers print up to 50% faster than previous models – at a rate of up to 140 sq. m / h.
The series uses new photo ink HP Vivid for photographic printing, which allows higher scratch resistance, high and uniform gloss and a wider color gamut with deeper shades of black ink than the old HP. In 8-color printing system, new printers are used chromatic red ink HP, allowing cover to 88% color gamut Pantone. In this case, new printers can save up to 44% ink compared with the same printing technology HP. 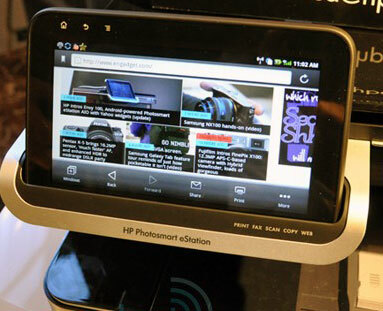 At the Photokina exhibition held in Cologne, Germany from 21 to 26 September 2010, HP introduced the prints made with a new application, Large Format Photo Negative, a HP Designjet Z3200 widescreen photoplotter and an ARTtrust labeling system. 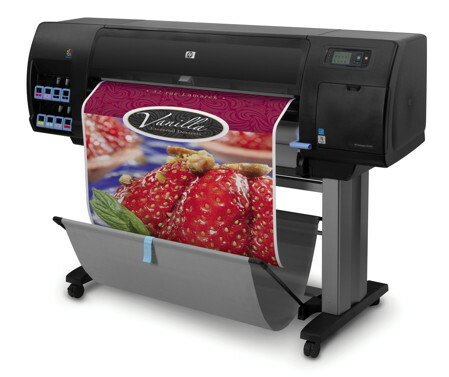 The launch of the wide-format printer HP Designjet Z6200 is scheduled for November 1. Today we’ll talk not so much about printers, but about something what is nowadays closely connected to them, images. The most popular and well known to all format lossy of image compression is JPEG. It’s over 20 years old, outdated, and its replacement has long been needed. It still more or less fits for storing pictures, although in places of resolution and contrast outlines the image still degrades and significant artifacts emerge (strength of degradation depends on the quality). Attempts have been made to replace JPEG. For example, the JPEG 2000 image format, which uses a different compression technology and is delivered from a number of JPEG shortcomings. Another example is the format of JPEG XR (formerly known as HD Photo and Windows Media Photo), promoted by Microsoft. Perhaps, Google will be able to improve the situation at least on the Internet? 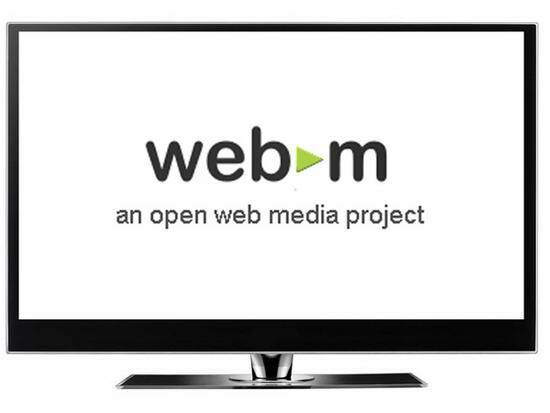 Following the announcement of its own open video format WebM earlier this year, based on the VP8 codec, the search giant has decided to compete with JPEG. The company recently submitted a draft WebP, which should become more progressive standard for image compression with loss of quality for the Internet. Google wrote about the attempt on his blog Chromium and even provided some tools (currently only for Linux, Windows support is promised soon), through which we can already see the format. According to the company, a new open format based on the VP8, presented to more than JPEG compressed images. The company also introduced a very lightweight container, which is based on the RIFF. This container is only 20 bytes for each image, but allows him to include in addition the necessary meta-data. Google also notes that the advantages of image format based on the VP8, the theory is obvious. Nevertheless, to prove an advantage in practice, the company has selected a million random images (mostly, JPEG, PNG, but also GIF) and encode them into WebP no sensitive loss of quality. As a result, the average file is compressed by 39%. The company is confident that web developers achieved in practice is even more impressive values of compression, keeping the files in WebP with uncompressed sources. According to Google, 65% of data transmitted over the Internet is now images and because the search giant has thought of providing a more efficient format for faster downloading sites and data. Google also published a number of examples of images WebP in comparison with JPEG. Some of these examples are given in the material above. Images in the new format looks much better quality (especially with an increase) for consistently smaller size files.